It’s refreshing when homegrown values and honesty come together in a business. And it’s this approach that I aim to bring to my work every day. My name is Jennifer Manchester and as a Southeast Charlotte real estate agent, I’m here to offer you an honest and truly full-service option to your Southeast Charlotte real estate search. For those who are looking to buy or sell a home in the Charlotte Metro area will find that, as a Southeast Charlotte real estate agent, my reach is far and my focus is sharp. What I mean is that, not only do I deal a lot in my area, buying and selling Matthews and Mint Hill area homes, but I also work throughout the entire Charlotte Metro area, including Lake Norman and Lake Wylie. No matter what your lifestyle, Matthews-Mint Hill homes offer you a great way to take advantage of the Charlotte real estate market. Matthews and Mint Hill are two historic towns just outside of Charlotte, each with their own small-town feel on the cusp of one of the country’s most livable cities. Matthews, for example, boasts a charming downtown with locally owned restaurant and shops. In the fall, the Matthews locals enjoy the beautiful weather during their own community fair. Just across the highway, the town of Mint Hill is known for its good schools and its many distinctive subdivisions. Matthews-Mint Hill homes can bring you close to all the amenities that come with living in a big city, while still offering the personality of a small community. If you are relocating to the Charlotte area, know that you have a friend in the area. As a transplant myself, originally from Florida, I know what it’s like to move to a new city. I’ll use my 15 years of experience living in Southeast Charlotte and years of practicing honest real estate to help you find the home of your dreams. If you’re looking to sell your property or home in Southeast Charlotte, my honest and tenacious approach will ensure that your home will sell quickly and for the price you want. One very important part of selling a home that can be overlooked is staging. Staging is the practice of getting a home looking its best; and as a certified stager, I am happy to provide this service to my clients. I even help other real estate agents stage homes that they’re selling. This networking submerses me in the Southeast Charlotte real estate community and connects me with even more potential buyers. It’s all part of my aggressive and strategic marketing plan. 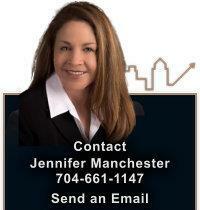 Email me or call me today if you have any questions about selling your Southeast Charlotte home.